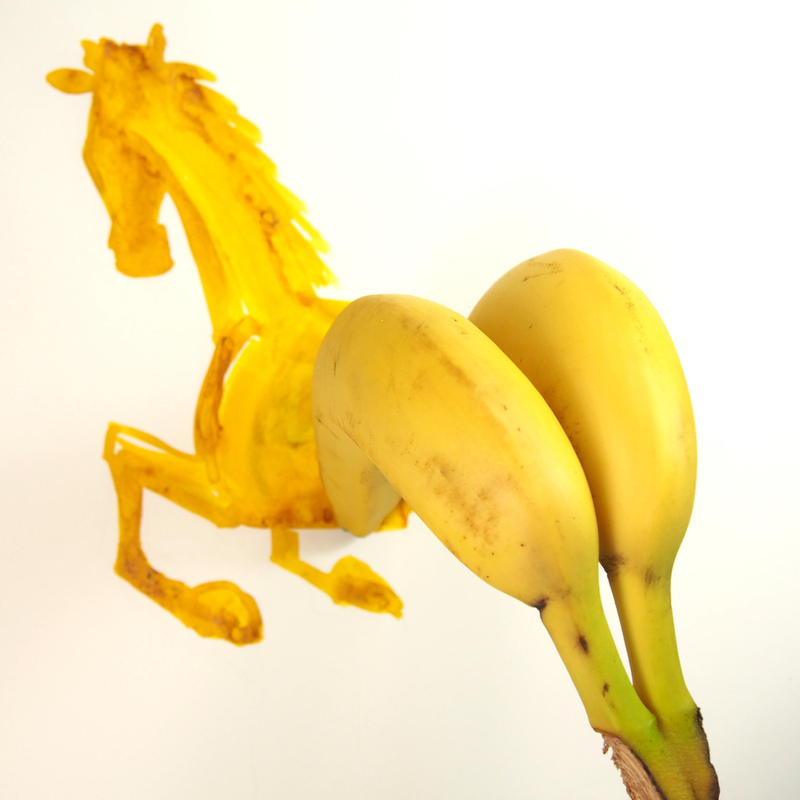 How Does Christoph Niemann Make Art Look Effortless? With A Lot Of Work The artist and illustrator says that behind every fun, whimsical sketch there are "100 very boring, unsexy steps." 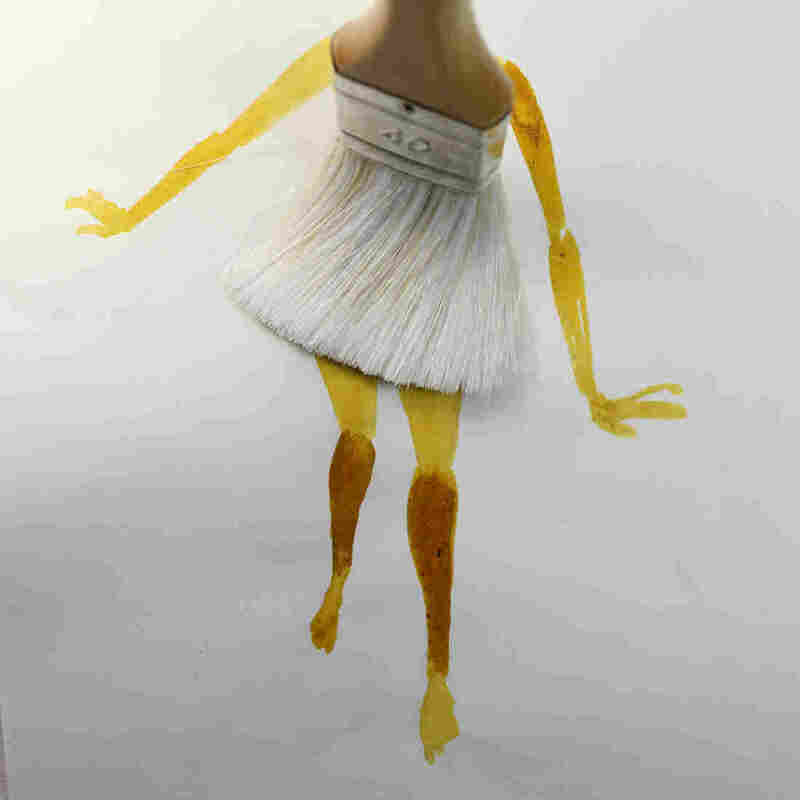 Niemann describes his creative process in his new book Sunday Sketching. In his regular work, Christoph Niemann starts with a punch line and works backwards. But in his Sunday Sketching series, he does the opposite: "I begin by picking a starting position — a random object and the limits of a brush-and-ink drawing — and see where the story takes me," he writes. A couple years ago, artist and illustrator Christoph Niemann felt like he needed to shake things up. "When you do any kind of creative job for a while, you become better ..." he says, "but I think you always become a little bit more predictable." Niemann was plenty successful — his work appears in the New Yorker and he had a regular Sunday column in The New York Times Magazine. But he wanted to get out of his routine, so he decided to start a project called Sunday Sketching. Each week he took an object — say, a paperclip or a bunch of bananas — set that object on a sheet of paper and incorporated it into a sketch. The bananas became the hindquarters of a horse. The paperclip became a beach chair. 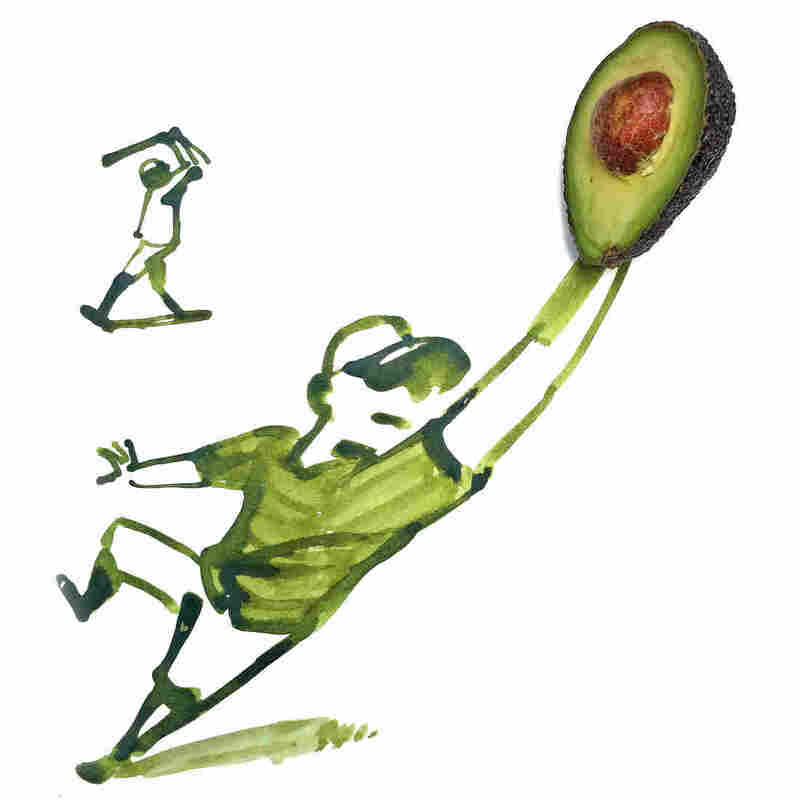 Half an avocado became a baseball glove at the end of an outstretched arm, with the pit landing in the center as the ball. These drawings are whimsical and surprising, and Niemann has collected them along with more of his work in a new book called Sunday Sketching. 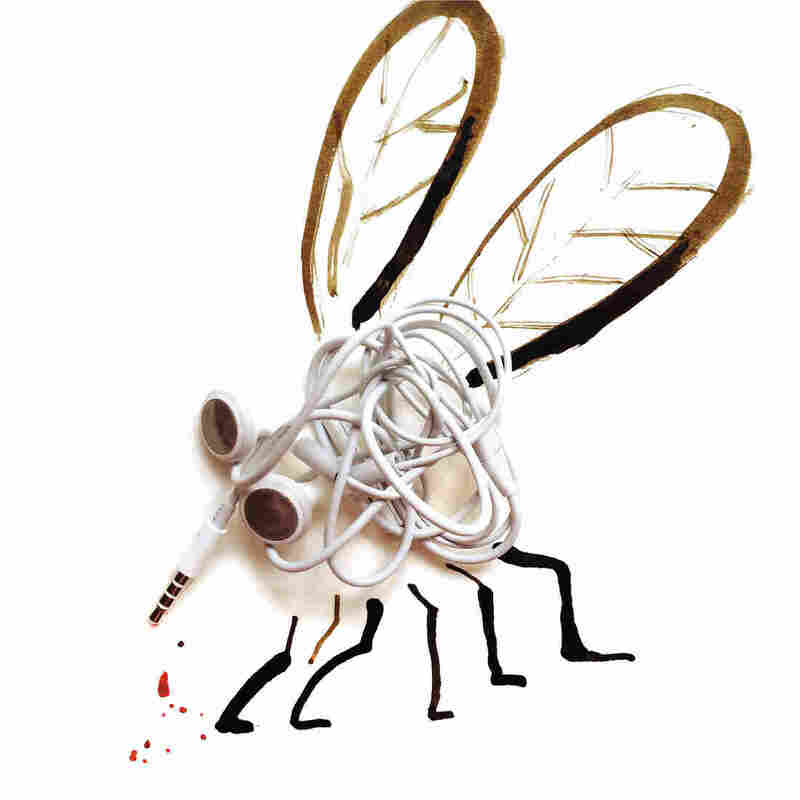 In one drawing, Niemann turns a tangled pair of Apple headphones into a mosquito. Inspiration for that one didn't come easily: "They're just like weird random white wires ... they looked like nothing," he tells NPR's Ari Shapiro. Because Niemann usually knows where he's going with a drawing, he rarely laughs at his own visual jokes. But this sketch was different: "In this case it was like: Oh, wow, this actually looks like a mosquito," he recalls. "And that moment was fun." Sunday Sketching is "an exercise in seeing," Niemann writes. "The greatest challenge is freeing myself from the actual function of the object." 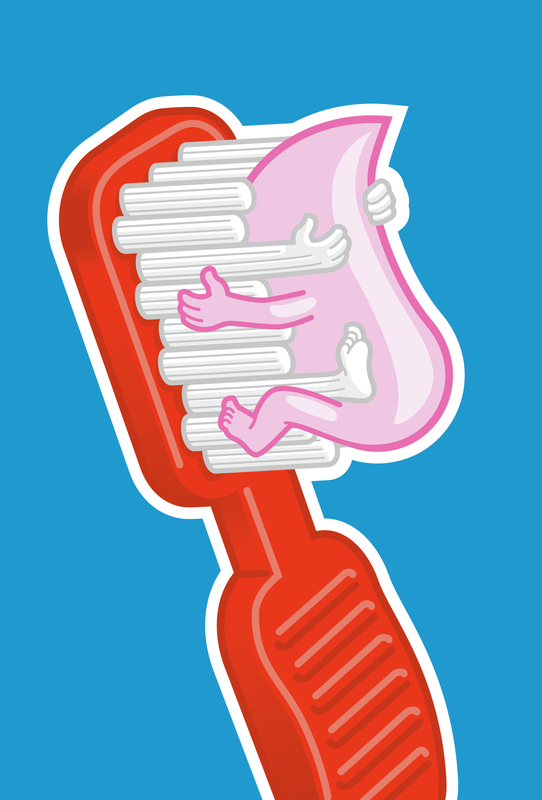 The way I've been doing these is: I always started with an object with absolutely no idea of what the outcome would be. And so, in retrospect, I hope the drawing makes sense and might even look somewhat inevitable. But the actual genesis of an image like that is: I stare at a shoe and hope that something happens. 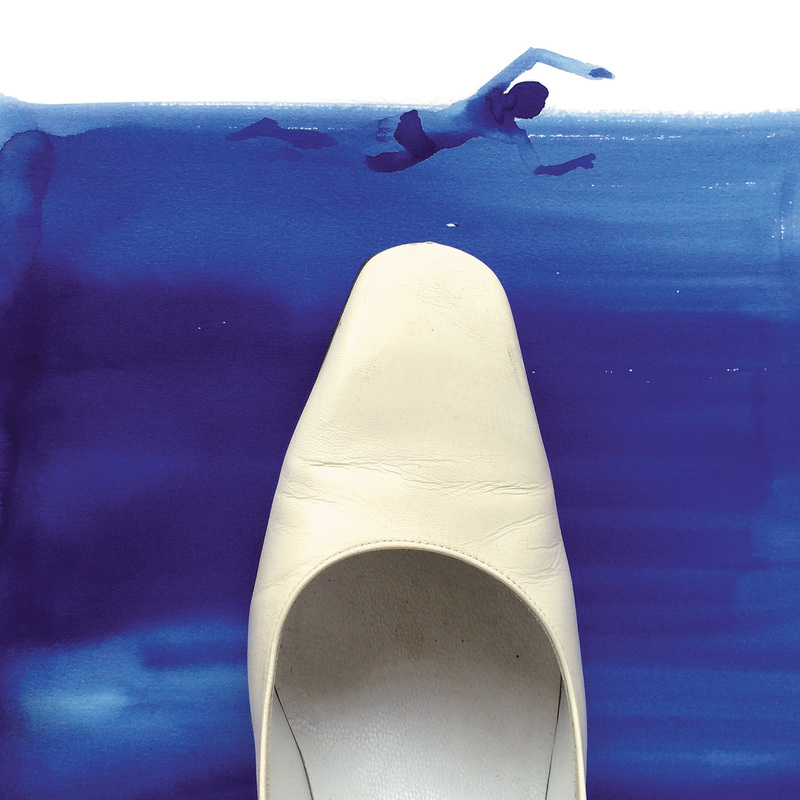 Niemann borrowed the shoes his wife wore at their wedding for one Sunday Sketch. The bolt of inspiration is what the reader is supposed to feel when they look at the drawing. What creates that moment is 100 very boring, unsexy steps — you know, move the line a little further to the left; draw a dog instead of a cat; ... draw a chair instead of a table. I sometimes get from clients: Oh, can we just see sketches? We just want to follow your process. This implies you start at zero, and let's say an idea is 100. This implies that halfway through you would be at 50. In reality, you go from zero to minus 250 and then you go to 17,000 and then you go to R. And then you end at 100. If you would have shared it with people they would be utterly confused. I think it's very important to accept that this is not a linear process. Niemann says that he prides himself on having "a high threshold when it comes to creative pain." When you [go for a] run, you know that you'll be sweating and you'll be exhausted. And once you accept that, there's other parts that you can enjoy. And what I found with these drawings is when you accept that when you give up control and you really throw yourself into the uncertainty there's actually another level of work that can be very satisfying. Niemann created this image for the cover of the 20th issue of American Illustration in 2001. The whole algorithm is really geared to a certain kind of quick: "Ha ha ha ha." So it's like an endless two-second joke. It's ... like a bag of Pringles which would taste great and ... after you've eaten two packs you just feel terrible. And then, of course, you have the vanity. You want people to like something. And I think it's so important to fight that impulse and to not let the number of likes and followers dictate where you're going. You can't have people like the work that you create and also be in awe of how hard it is to do it. The one thing that I sometimes take somewhat offense to — and I know it's a figure of speech but — this idea of talent. When people say: Oh, you're so talented. I could never do that. I always feel like: No. When you listen to a pianist playing a Beethoven sonata ... you would never say: Oh, I couldn't do that [because of talent. It's] because, well, you didn't sit down for 10,000 hours and practice. It's all about sitting down and the time you spend at your desk.